Lawn care business owners use a variety of methods to bring in more lawn business for themselves and their crews. Most lawn care business owners will tell you that they get most of their business through either advertising or referrals from their existing customers. 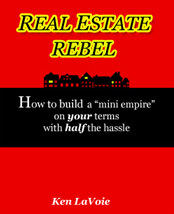 However, there are also some other more unconventional ways to get business that are worth exploring. Below are some of the more unusual methods that may work well for your lawn business if you persist. Let your competitors know that you are available to fill in for them if they suddenly have too much workload or want to take a break. This kind of arrangement can work well if you reciprocate by sending business their way when you have more work than you can handle. Partner up with competitors that offer a different range of services from the range that you offer. You can then refer business to each other in a way that also offers useful information to your customers. An example of this would be if your company specialized in irrigation systems and a competitor specialized in landscaping and you referred business to each other. Other lawn care business owners sell accounts for a variety of reasons. If you do your due diligence and purchase at the right price then this method can allow you to increase your customer base quickly and easily. And of course you can always try swapping accounts if you have one that is a bit far away. A lawn care operator in that area may have one closer to you that he or she would gladly exchange. Rent a space at a relevant trade show such as a 'home and garden' show. You can get exposure to many local people if you have a presence at such an event. But you should also note that some people travel some distance to attend these shows and they may live outside of your service area. Costs for a booth can be expensive but you may be able to negotiate a price to simply hand out your flyers at a such a show and chat to people. Group up with some other household service providers such as plumbers or electricians and put an arrangement in place for promoting each other's services to your respective customers. These kinds of relationships can take time to grow and it can be hard to judge if everyone is pulling their weight. However, if everyone does their part you can get some golden leads out of this kind of arrangement. On the one hand real estate agents need the lawns and gardens of a property to be looking great so that they can easily sell it. On the other hand real estate professionals are meeting with new property owners or tenants and are well positioned to promote your services to them. Consider offering commissions or occasional gifts to agents if they are able to refer new customers to you. 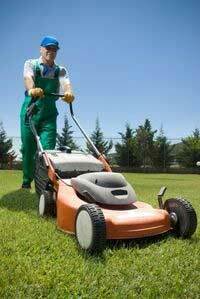 Too many lawn care business operators settle for mowing residential lawns without ever trying to bid on commercial accounts. Commercial accounts can be even more lucrative than residential work if you learn about the bidding process. Find out how to bid on commercial and government contracts when they come available. Remember though that the time scale for payment is usually much later with commercial lawn care work compared to residential jobs. When it comes to marketing a lawn care company it is important to think outside the box as well as test the proven methods. Borrow ideas from other industries. Keep a swipe file and make a note every time you see an awesome marketing strategy in action. You may be able to convert someone else's idea into a winning marketing system for your business. 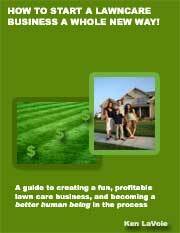 Test these six ideas and try to come up with your own original ideas on how you can get more lawn business. What are Lawn Care Business Customers Looking for?